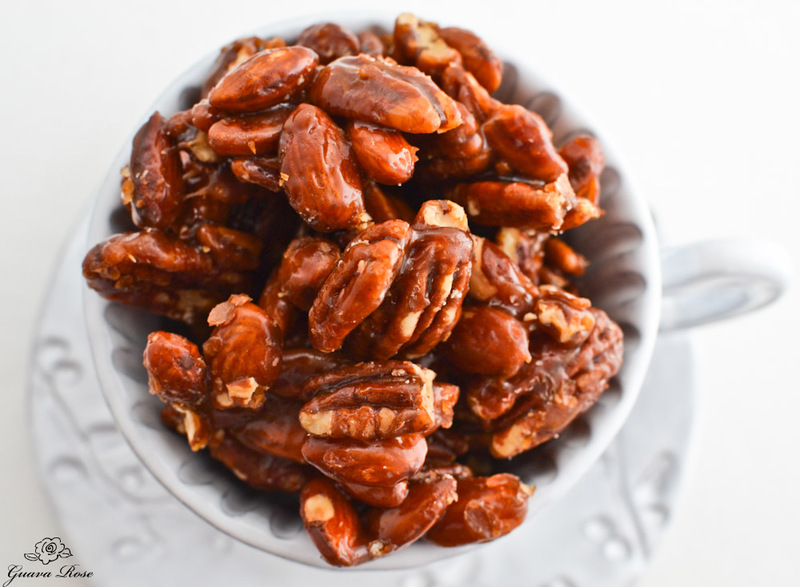 A simple little treat for the holidays– just nuts, honey, coconut oil and sea salt baked at low heat in the oven. Heat the coconut oil and honey until just boiling, then pour over the nuts. Lining the baking sheet with parchment paper is a must, or stirring and clean up will be troublesome. 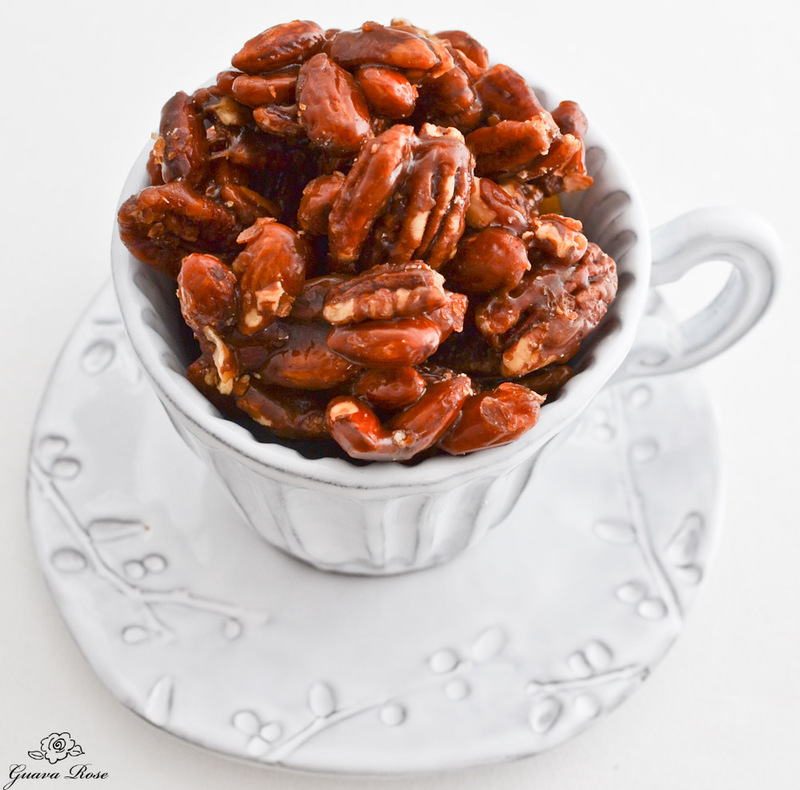 Sprinkle with a little sea salt and mix the nuts to coat them all. Bake at 250 degrees F for about 80-90 minutes, stirring every 20 minutes. When honey coating is almost totally absorbed by the nuts, and very thick, remove the pan from the oven. Stir the nuts occasionally while they cool for the next 15-20 minutes. A rubber spatula works best for this, so that you can scoop up the extra bits of caramel back onto the nuts as they cool. Place the finished nuts onto a clean sheet of parchment paper. Break the sticky nuts off into small clusters and let cool and dry completely. I’ve made this with darker and lighter colored honeys, and it’s funny how the lighter colored honey produced a darker colored caramel. They were all equally delicious though. This honey caramel is pretty sticky when you eat it, so make sure to brush your teeth well lol. Happy Holidays to you all, hope you are enjoying time with your loved ones! Preheat oven to 250 degrees F. Line a large baking sheet with parchment paper. 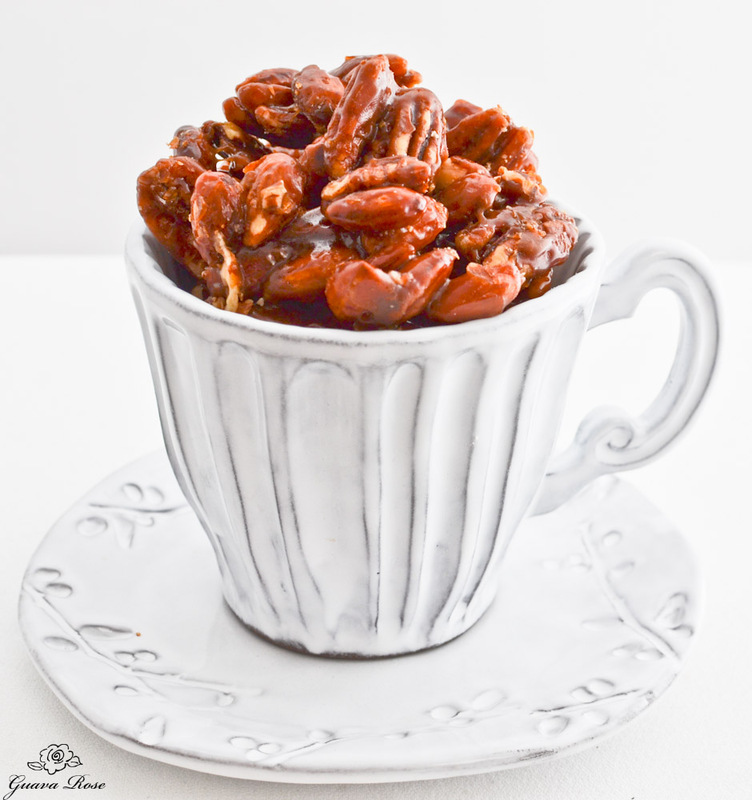 Place nuts on top of parchment in a single layer. Melt coconut oil and honey in a small pot and bring to a low boil. Pour over the nuts. Sprinkle with salt. Mix everything together and arrange nuts back into a single layer. Bake for 60-90 minutes, stirring every 20 minutes. Bake until the nuts have absorbed most of the caramel. Remove pan from the oven. Stir the nuts occasionally while letting them cool for 15-20 minutes. Then place them on a clean sheet of parchment paper. Break the sticky nuts off into small clusters and let cool and dry completely.